In response the November 20th opinion piece in the La Jolla Light, our community would much prefer to watch sausage being made than sit by and watch the hijacking of our community planning process. Unfortunately, a select few Trustees have commandeered our community planning group to achieve their own intentions. This small group has disrespected the basic integrity of our community planning process by not honoring their city approved bylaws. 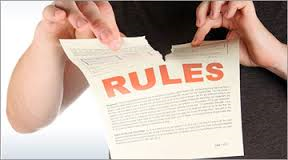 Instead of abiding by their bylaws; they amended the bylaws to accomplish their objectives, or they just ignore the bylaws, when alerted but after the damage is done, they meaninglessly “cure and correct” their illegal action. Rather than accept contrary decisions from our community, City Staff, Planning Commission or City Council they will form public benefit corporations then file lawsuits to delay and add costs to projects. Our community is certainly grateful for the well intentioned volunteers of our La Jolla Community Planning Association (LJCPA), the truth is however, our LJCPA simply no longer represents the majority of the 42,000 residents in our community. Their declining membership cast a mere 79 votes at their 2014 annual election. Dissatisfied with the results of that election, they once again amended their bylaws to achieve the results they desired, (keeping termed out trustee Joe La Cava in for an unprecedented third consecutive term). After threats of decertification from the Mayor’s office, they added a 19th Trustee, to seat duly elected Michael Morten for a reduced five month term. What is fair and democratic about giving a five month term to a duly elected trustee and a three year term to an termed-out elected trustee? Certainly it has nothing to do with his reported candidacy in 2016 for District 1 council seat? Sausage please!!!! !